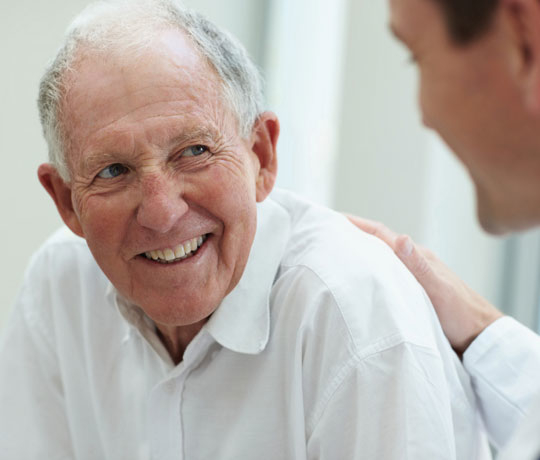 The physicians practice of UT Health San Antonio offers expertise and care in the diagnosis and treatment of all conditions and diseases of the prostate. You can count on our physicians to provide the latest in treatment and care to you and your loved ones. Also known as benign prostate hyperplasia or BPH, an enlarged prostate is a very common condition that affects men 50 years of age and older. The physician's practice of UT Health San Antonio's urologists are leading experts in the treatment of conditions and diseases of the prostate. We are very careful to make sure your treatment is the best for your condition and your lifestyle. Please call 210-450-9600 to make an appointment with Urology or to make a referral to one of our physicians.